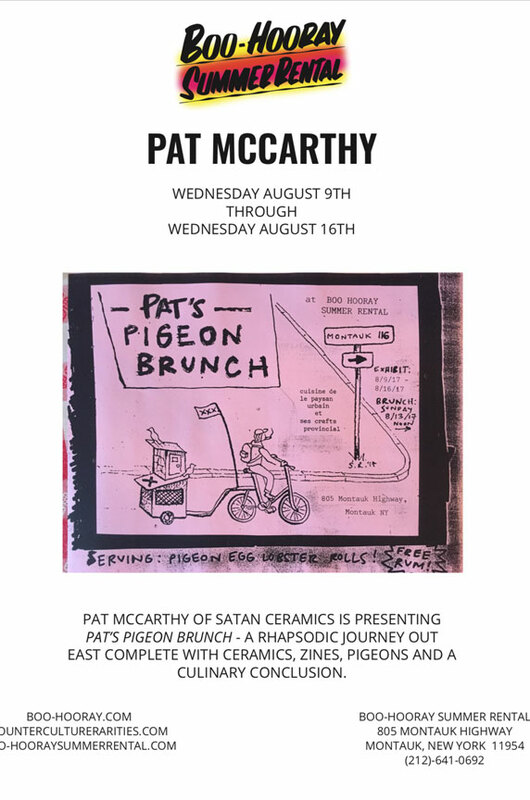 BOO-HOORAY PRESENTS: ‘PAT’S PIGEON BRUNCH’ – SUNDAY AUG 13, 2017. SERVING: PIGEON EGG LOBSTER ROLLS & FREE RUM !! FROM NOON – ONWARDS, PAR-TAY ON !! 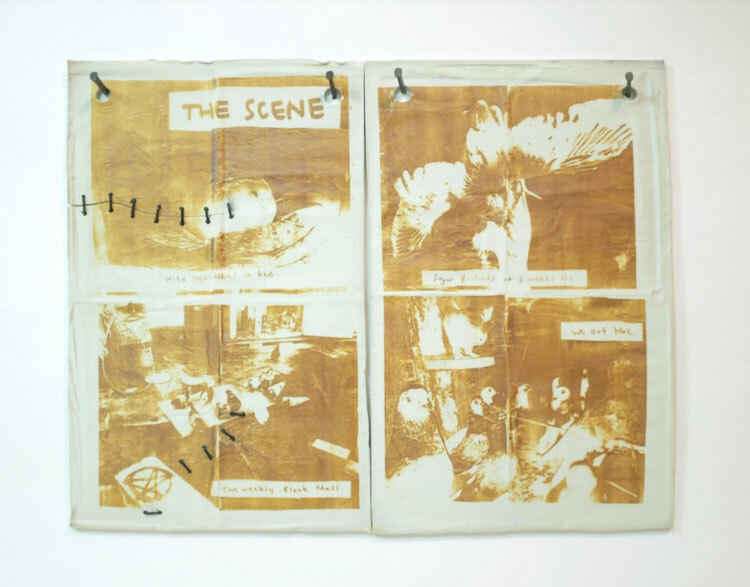 PAT McCARTHY of ‘SATAN CERAMICS’ . .
will be presenting a rhapsodic journey out east complete with ceramics, zines .. and pigeons. PAT McCARTHY . . . 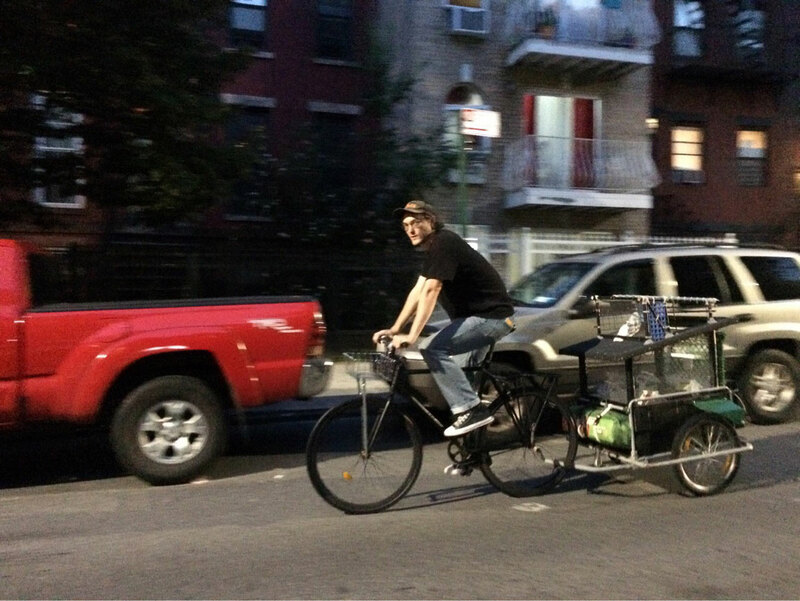 TRANSPORTS PIGEONS / VIA SELF-IMPROVISED ‘RICKSHAW’ – OUT EAST !! 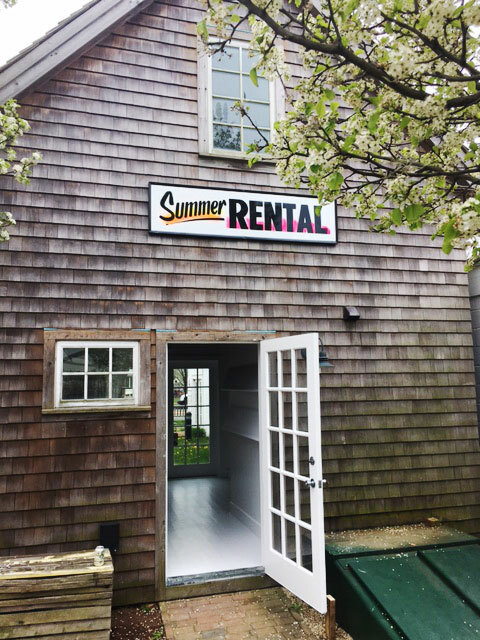 TRANSLATES: . . to MONTAUK !!!! PS: PAT . . IS NOW ON INSTAGRAM !! !!!!!! – !!!!! – !!!!! !